I love durian and everything goes with it. My boyfriend hates it so much. 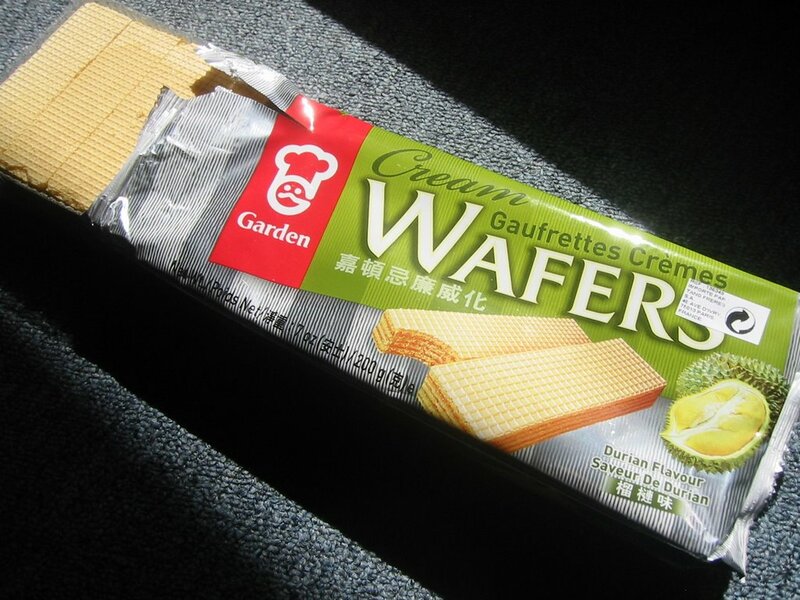 I got this durian wafer from a chinese grocery, when we got home, he secretly hide it somewhere else. When I crave for it, he reluctantly gave it to me, and quickly open the door and cover his noise. I pity him, so have to hide the remaining wafer somewhere so it won't bother him. Isn't it amazing how much different we are in accepting certain smell? His cheeses are as smelly as durian but I don't have to cover my noise and gradually accepting them. For him, his dislikeness for durian will never fade away I guess.